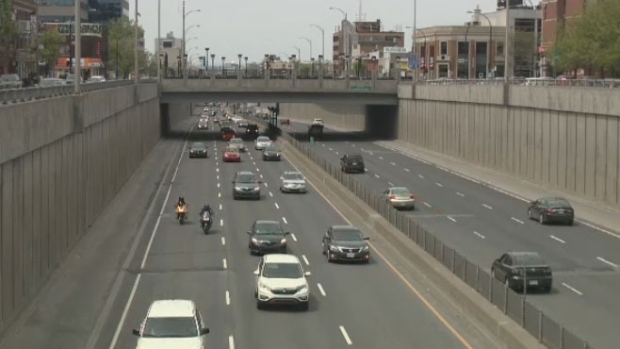 Drivers, beware: major closures are coming to the Decarie Expressway this weekend, thanks to the ongoing work on the Turcot Interchange. Complete closure of Highway 15 South between Sherbrooke and the Turcot from 10:00 p.m. on Friday to 5:00 a.m. on Monday. Closure of the Royalmount Ave., Jean-Talon, Cote-St-Luc Rd. 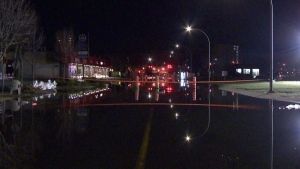 and Girouard entrances to Highway 15 South from 8:30 p.m. on Friday to 5:00 a.m. on Monday. Closure of Exit 66 to downtown and the Champlain Bridge from Highway 40 from 9:00 p.m. on Friday to 5:00 a.m. on Monday. Closure of Highway 15 North between Exit 63 and the Edouard-Montpetit entrance from 10:00 p.m. Friday to 5:00 a.m. Monday. The Quebec Transport Ministry is warning that traffic will likely be extremely congested due to the work and motorists are advised to avoid the Highway 15 area all weekend. As if the Decarie work wasn’t enough, drivers should also be warned that several exits from the Jacques Cartier Bridge will be closed on Thursday morning for paving work. The off-ramp to Highways 20 and 132, as well as the exit to St-Laurent St. West will be closed from 12:30 a.m. to 5:00 a.m.